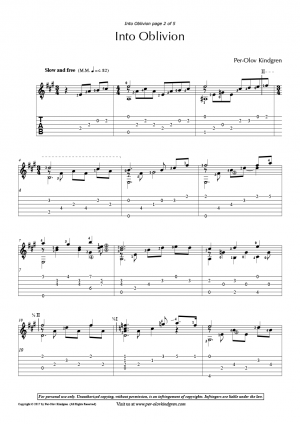 The suite, “The Twelve Months of the Year” for classical guitar, was composed during 2009-2011. There are 12 (obviously) pieces in different keys and difficulties. It was not my intention to describe the characteristics of each months as such, but I have noticed that many listeners have associated the title with what they think is recognizable for that particular month. To me, it is up to each and everyone of you what “images” you get when listening/playing the music. The performer is welcome to play them in any order and even exclude single or several pieces. Or just pick his/her favorite piece for a performance. But the months can, of course, be played in strict order from January till December as a Suite. I made this suite for classical guitar to extend the repertoire for intermediate to advanced players and to provide some “easy listening” music that can be customized for most events: short performances, background music, weddings, birthdays or as part of a concert program for professional players. It is my sincere hope you will enjoy playing them and your audiences will like them, in what ever context they are played.